My girls love to paint but I am a mean mean Mum, I so rarely let them paint at home. I tend to leave it for nursery or school to do it with them. That way they get all the mess and clearing up! Told you, seriously mean mummy! Having said that all of that, over the Summer I completely caved in! 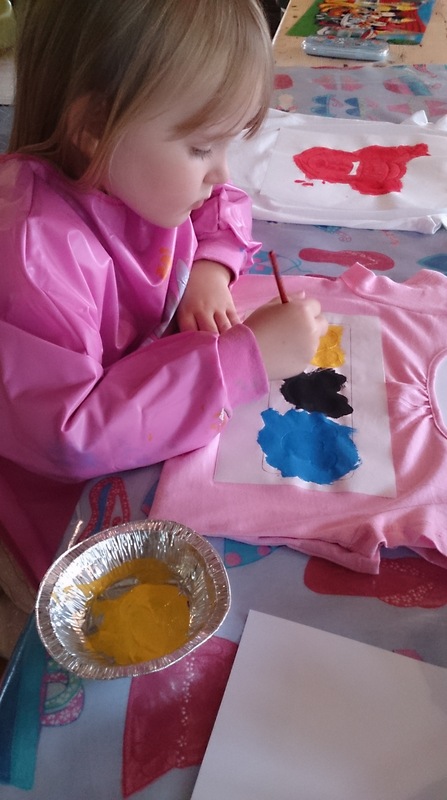 With the aim of keeping the girls busy for a while I thought we would do some t-shirt painting in preparation for our trip to Disneyland Paris. 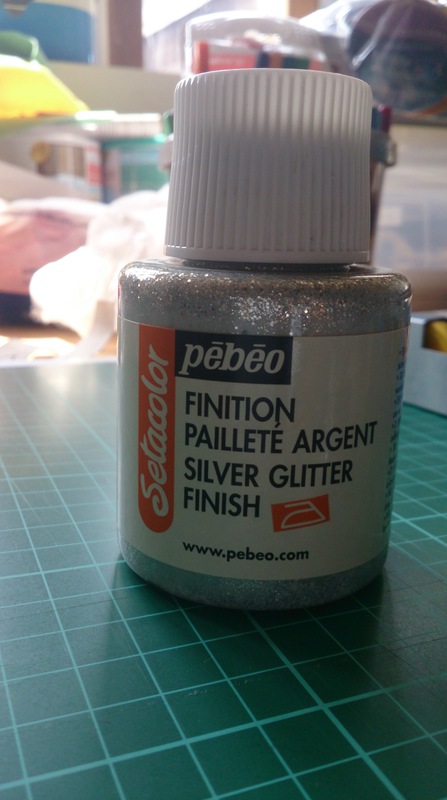 There were a few images that I had pinned a while ago, waiting for this exact moment and some time ago I bought some Pebeo t-shirt paints from Hobbycraft, I think. 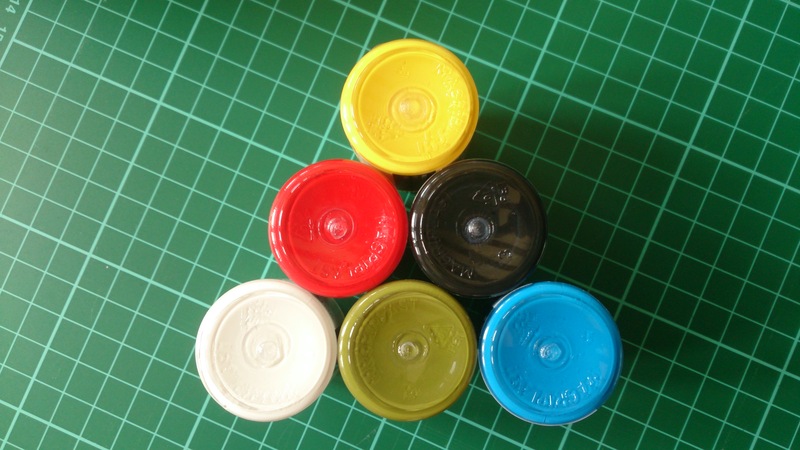 I bought a set with all of these fab colours …..
… and some glitter paint!! I used the tutorial from Dana Made It and basically followed it as it was written. The only thing I can add to her tutorial is to slip a piece of card inside the item of clothing so that if anyone is heavy handed with the paint it doesn’t seep through to the other side. Dana used three coats on her project and I would definitely agree that more thinner coats is better than fewer thicker coats. 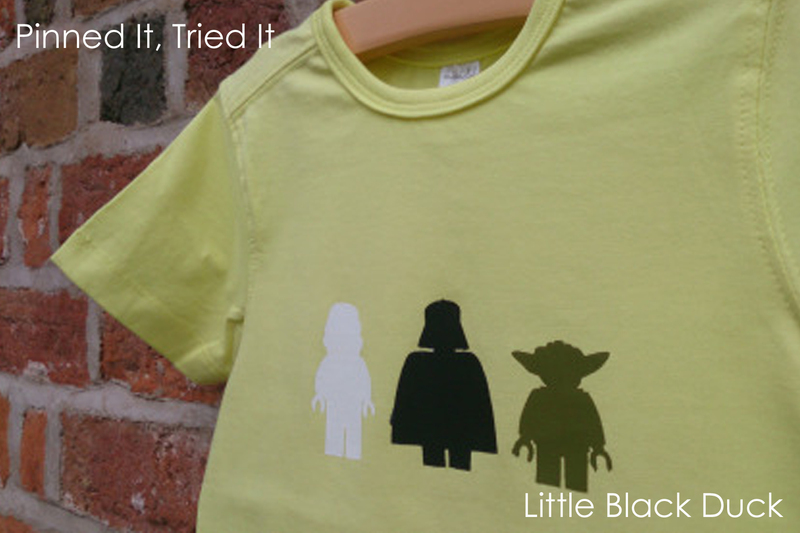 As for the images I used, I downloaded the template from I Am Momma Hear Me Roar for the Lego Star Wars inspired t-shirt for Charlotte and Emily’s cousin Sam. I really love it and the effect on the yellow t-shirt. The girls so nearly covered it in the glitter paint though…close call! This Minnie Mouse picture I found on a search on Google images. 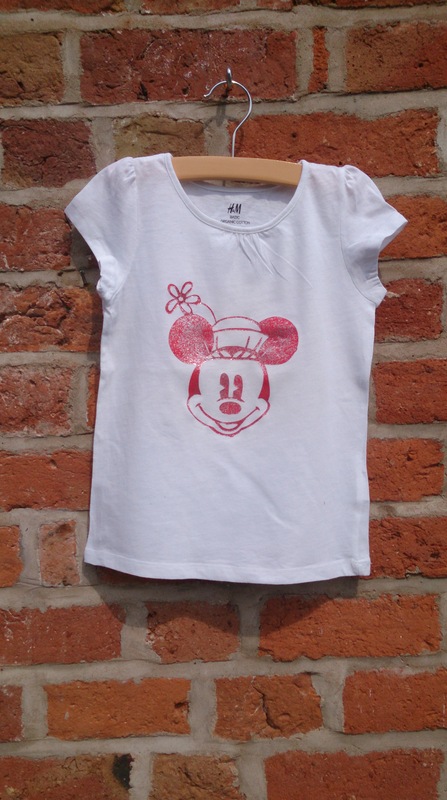 Do not be deceived…..a picture like this takes an absolute age to cut out and piece back together on the t-shirt! If I do t-shirt painting again I will definitely stick to simple images only! I think they are looking to do it again. Maybe, just maybe I’ll do it with them again one rainy wet weekend. Way to go! The shirts turned out great! Thank for sharing this with me. Have a great day! No problem, thanks again for the tutorial. 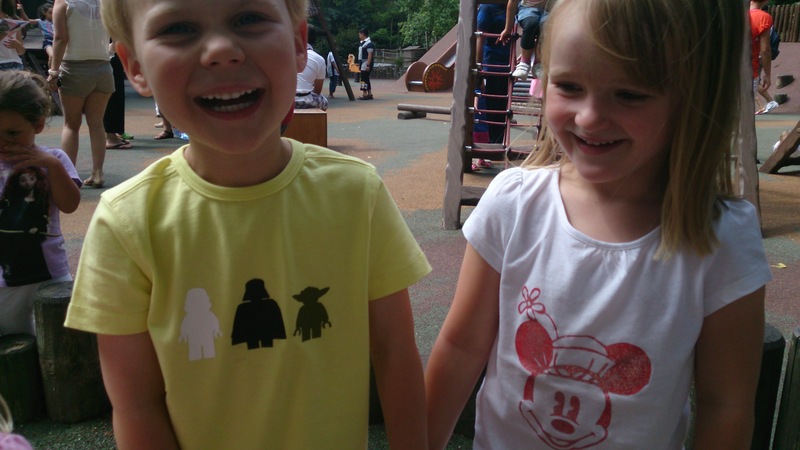 Sam is such a Star Wars fan and loved the t-shirt. His dad is an even bigger fan, so maybe that’s his present sorted for Christmas!